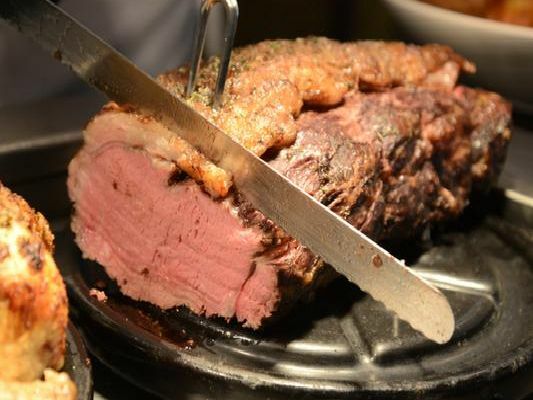 Few things satisfy a hungry stomach like a hearty carvery, particularly during the cold winter months. So if you're craving succulent slices of meat served with pototoes, veg, Yorkshire puds and lashings of gravy, these Leeds restaurants dish up quite the feast. Offering a range of carvery meats, including roast beef, pork, gammon and turkey, served with all the trimmings, a carvery at this Yeadon-based eatery will only set you back 4.99. The Toby Carvery's located on Bruntcliffe Road and Fink Hill were both highly rated on Tripadvisor, with reviewers praising the variety of choice, value for money and pleasant environment. Serving a traditional carvery complete with as many potatoes, vegetables and gravy as you can manage, diners also have the option to choose a smaller plate or 'go large', and add extra meat or a Yorkshire pud. Dishing up a carvery every day of the week, diners can pick from three fresh, slow roasted joints, served alongside a Yorkshire pud, stuffing and as many servings of roast potatoes and steamed veg as you like.